Considering a yacht charter from Skiathos with PureSailing but fazed by the travel arrangements. The info contained here should help! The most direct air route to the Sporades is via Volos or Skiathos Airports. International charter flights direct to Skiathos operate between April and October from most European airports. Please see your local travel agent or check on-line. Skiathos International Airport is 5 minutes from the Marina. Volos International Airport otherwise known as Nea Anchialos National Airport which is about 20mins by road from Volos City. This airport carries a growing number of international charter flights and from here you can catch a local bus, taxi or pick up a hire car to get you to Volos. An Airport / Volos Bus service operates daily. It’s easy to get from Volos to Skiathos by ferry or by Flying Dolphin (hydrofoil). 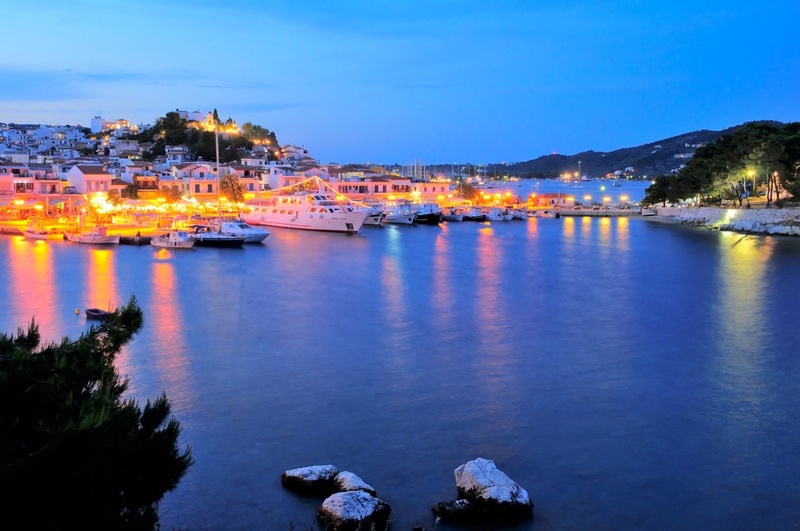 Daily flights to Skiathos and of course connecting flights to your home town. British Airways provide a regular and service to Athens and Thessaloniki. Easyjet provide a regular and service to Athens and Thessaloniki. Regular and low cost service to Athens and Thessaloniki. Regular and low cost service to Athens and Thessaloniki. They also provide services all over the world, Skiathos and domestic flights operate from Athens airport. By ferry / fast ferry / hydrofoil: Connections to Skiathos, Skopelos, Alonissos and Skyros operate from Thessaloniki in the north, Volos, central Greece, and Ag. Konstantinos, near Evia for Athens connections. Hellas Flying Dolphins (hydrofoils and Jet Ferries) have the fastest routes and operate several times daily in high season. Hellenic Seaways is the largest Hellenic maritime company with its many vessels it serves more than 35 ports in the Cyclades, Saronikos and the Sporades. NEL LINES provide a country wide service but specifically they provide local services covering Thessaloniki, Volos, Ag.Konstantinos and the Sporades Islands: Skiathos, Skopelos, Alonnisos, see website for timetables & booking info. To get from Athens airport to Skiathos, we recommend you take a taxi from the airport to the “Alkyon” office at 97, Akadimias Street at Kaningos Square (not far from Omonia Square). Or take the Underground to Omonia Square and walk up to Akadimias Street at Kaningos Square. When checking the times from Aghios Konstantinos to Skiathos, allow 3.5 hours BEFORE the time from Aghios Konstantinos to catch the bus at the Kaningos Square! The bus connects with the hydrofoil for Skiathos at Agios Konstantinos and you can buy a ticket all the way through. Allow at least 2.5 hours from your planes arrival to get your bags and get to the Alkyon office. We hope the above makes getting to your next yacht charter in Skiathos easier! Read abour yacht charter greece here! Check out our yachts availability here! Find out more about our youchts here! Find oout about our prices! Check out for our special offers! Read this article about sailing areas! Read the Frequent Asked Questions here! Read more stories on our blog! Contact us for anything you want to ask here! Learn today: do you know the story of Skiathos?